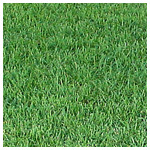 EMPIRE is a blue-green turfgrass that has a wider blade than most other zoysias (slightly broader than Meyer Zoysia) and grows in a wide variety of soil and climate conditions. EMPIRE performs well in sandy and clay type of soils throughout the southern U.S. and has tough runners, rhizomes, and deep roots that provide excellent sod strength, wear ability, and improved drought tolerance. EMPIRE performs well in hot, arid, sandy sandy areas of the southeast U.S., and has proven itself drought tolerant in many challenging applications. Shade tolerance research is ongoing, as EMPIRE has performed well in field and homeowner sites, and exhibits shade tolerance typical of most Zoysias. EMPIRE is the first Zoysia to demonstrate improved tolerance to brown patch as compared to Meyer Zoysia in side-by-side plantings. Additionally, EMPIRE is highly tolerant of most herbicides making it easier to control weeds during production and for the end user.